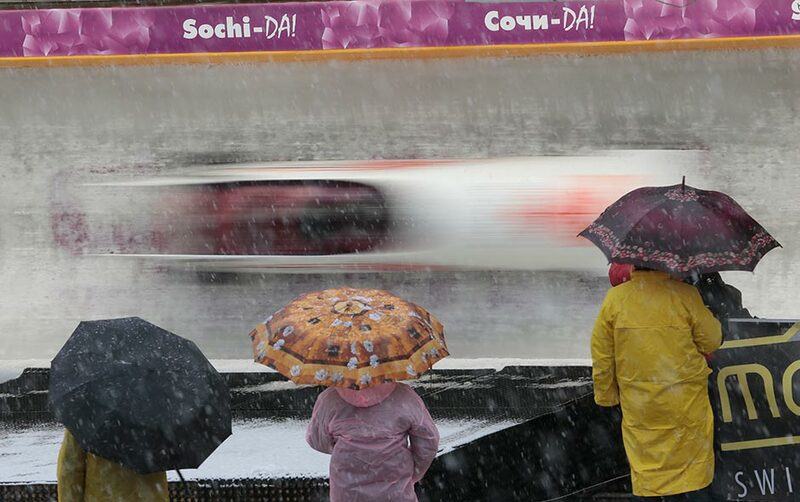 Spectators watch competitions during the 4 men's Bob event at the FIBT Bob & Skeleton World Cup 2013, Sochi. The International Bobsleigh and Skeleton Federation (IBSF) said on Jan. 8 it has lifted provisional suspension of four Russian skeleton athletes, namely Elena Nikitina, Maria Orlova, Olga Potylitsyna, and Aleksandr Tretiakov. The four Russian athletes were provisionally (till Jan. 19) suspended from competitions over suspected violations of anti-doping rules during the 2014 Olympic Games. "The Doping Hearing Panel of the IBSF concludes therefore to lift the provisional suspension of Elena Nikitina, Maria Orlova, Olga Potylitsyna, and Aleksandr Tretiakov, with immediate effect as of the date of signing of this decision," the IBSF said in a press statement. The IBSF Doping Hearing Panel ruled that in compliance with the European Convention on Human Rights each individual has the right to fair trial and the presumption of innocence is guaranteed until the guilt in proved. It came to the conclusion that "there is not (yet) sufficient evidence against the Athletes that would justify the provisional suspension." "The Doping Hearing Panel comes to the conclusion that Mclaren Report ll provides sufficientreason to conduct further investigation by both the IOC and the IBSF into the role of theAthletes in "tampering or attempted tampering of any Doping Control", the IBSF said. Athletes will take part in the Winterberg European Cup event after the IBSF lifted its provisional suspension, President of the Russian Bobsleigh Federation Alexander Zubkov told TASS. "All the four athletes will take part in the European Cup event," Zubkov said. The skeleton European Cup will be held in Germany’s Winterberg on Jan. 14-15. Tretiakov won the 2014 Olympic gold, Nikitina won bronze.